SSC is now Very Strict on its rules and regulations and many candidates applications have been rejected on certain grounds (Duplicate/Multiple Applications, Photo Not Clear, Photo in place of Sign or vice versa, underage etc). 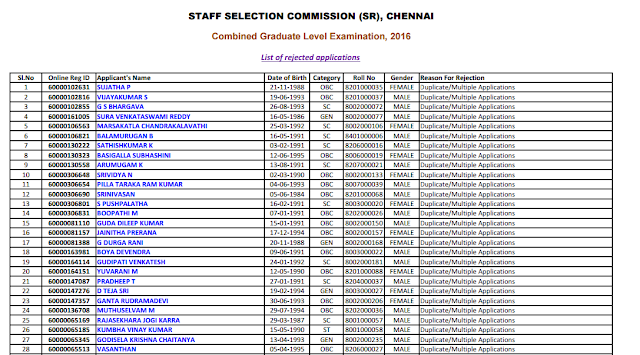 Today SSC SR has uploaded a list of rejected candidates for SSC CGL 2016 due to multiple applications. 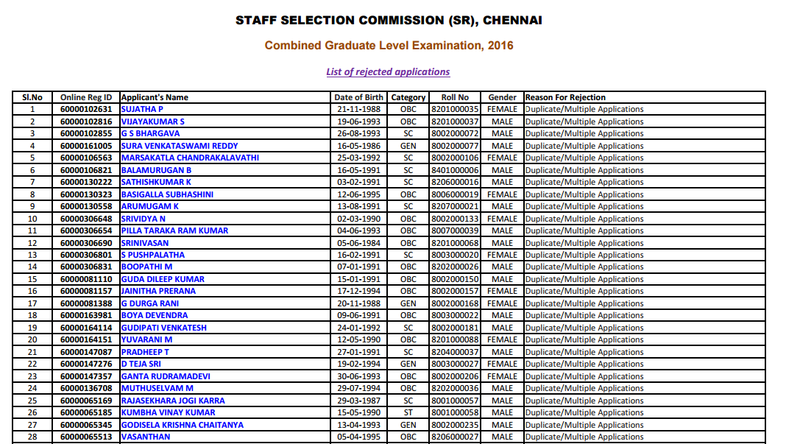 The number of applications whose candidature is rejected is very large in number (15302). You may check the list for your name.